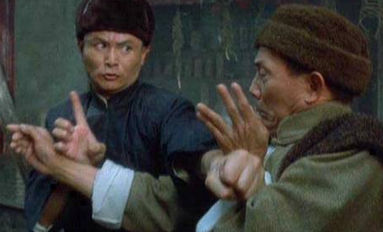 Lau Kar Leung’s last movie before this one, is certainly the infamous and certainly one of the contender for the worst movie ever – Drunken Master 3. It is little wonders that Lau spend the last 10 years in hiatus, thinking about what the hell was wrong with him to direct such a piece of crap, especially right after directing Jackie Chan’s best movie ever – Drunken Master 2. Almost 10 years on, Lau have probably seen too many movies forgetting the importance of real martial arts and real kung fu fighters, and he decided to make a mark in a world filled with pop stars and wannabe-fighters. The result is a just above average attempt at old school fighting and probably just enough fights to launch the career of Wu Jing. Nonetheless, it is a welcome attempt by Lau and while he should have stopped when he reached the heights of Drunken Master 2, one just can not stop to think that Master Lau might just have one more classic up his sleeve before retirement. 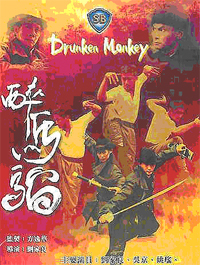 The movie goes like this: Lau Kar Leung stars as Man Biu, master of the Monkey Fist, and its alcohol-influenced variation, the Drunken Monkey Fist. But his own brother betrays him with the help of some unsavory villains, and Man Biu is left for dead. Luckily he survives, and is nursed back to health by Siu Man (Shannon Yao). Meanwhile, Man Biu is sought after by a couple of young fans, Ka Yip (Lau King Win) and Tak (Wu Jing), who find the old man, but discover that he simply wants to be left alone. That desire is denied when Gordon Lau) comes calling. Eventually, the news of Man Biu's survival is bound to reach his foes, and it'll be up to Man Biu, Tak, Ka Yip, Siu Man, and the power of the Drunken Monkey Fist to make things right! Wu Jing is certainly a rising star and after a fail attempt to replicate Jet Li in Tai Chi 2, this is certainly a much better vehicle for him to launch his fledging career. Looking into 2007, Wu Jing is now an accomplish star in his own right, with scene stealing performances as the silent assassin in Sha Po Long and the mainland underground fighter in Fatal Contact. His performance here is charming and provides so much needed comic relief that lacked so much in Drunken Master 3. There are some notable scenes, namely the basketball sequence and also the tight wall fighting in the tunnel. He is a fluent and graceful fighter by all means and hopefully translating into a big future ahead. Newcomer Shannon Yao seems pretty enough to justify a few more movies, but somehow she have disappeared form the limelight ever since. Although I read some where that she have reappeared in the Gordon Liu’s Shaolin vs Evil Dead series, but it is still a shame that HK cinema didn’t make use of the brightest talent since Michelle Yeoh. She is pretty and graceful to watch and despite giving out an extremely raw performance, it is nonetheless a very credible debut. All in all, Lau Kar Leung should really stick to directing and cameo roles as while he can provide some quality moves, he is no getting any younger. Then again, while this flick isn’t a total success, it does however bring the audience back to the memories of Drunken Master 2 and a further reminder of how they just don’t make movies like that anymore. If this is any indication, it can surely still be done and perhaps with a larger budget and a better script, a Drunken Master 4 might just be around the corner.